Deb's Stamp Pad: Welcome Back! 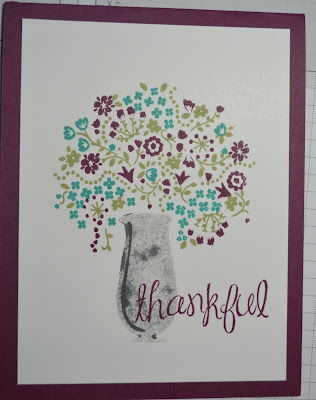 This beauty (Thankful Life pg3) is from this months card club. The stamp set is available from the Occasions Catty as a hostess set. It is so sweet. 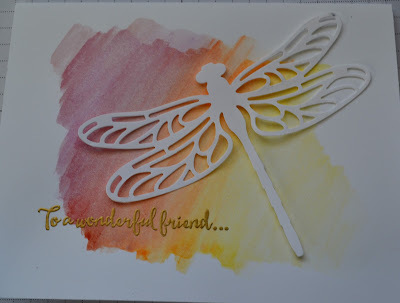 This new set Dragonfly Dreams is so popular. Everyone who sees it loves it. Its a must have for your collection. So easy to use and so versatile. 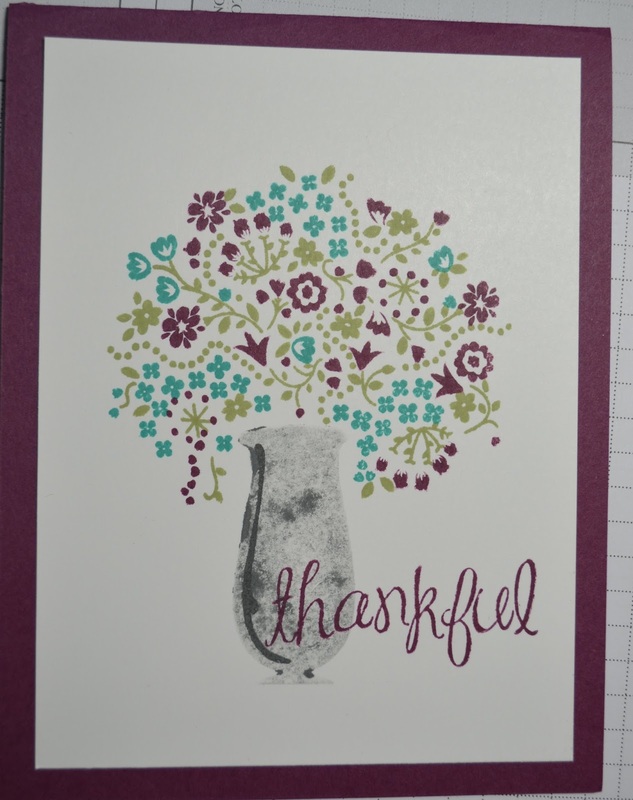 We did a little Watercolor pencil scribble across the card front and blended it using an Aqua Painter. Yes yes yes we now have a new set of watercolor pencils available... and they are pretty nice. Click on the highlighted underlined links to take you right to the order page were you can get your crafting needs.